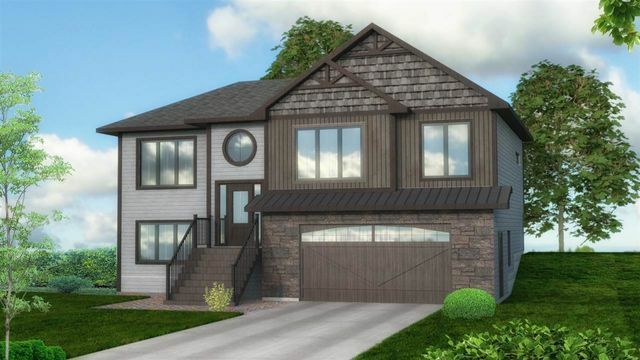 Lot 609 715 McCabe Lake Drive, Sackville (MLS® 201901661 ) MARCHAND HOMES LTD. welcomes their new home plan "The Dallas" in sought after the stunning lakefront community of Indigo Shores. This finely crafted show stopper of a home by Marchand Homes will feature elegant and traditional curb appeal on a beautiful private forested lot, with lakefront access to McCabe Lake where boating, swimming, and fishing is enjoyed. This new home plan will be outfitted with an abundance of value added items that are the staple in all of Marchands Indigo Shores homes such as the ductless heat pump technology, Energy Efficient and Energy Star Certified, built-in heated double car garage, Low E and Argon windows, premium siding colours, high end laminate throughout with 12x24 tile in wet areas, open joist engineered flooring system, 40 year LLT shingles, a 7 year Atlantic Home Warranty and the list goes on and on! 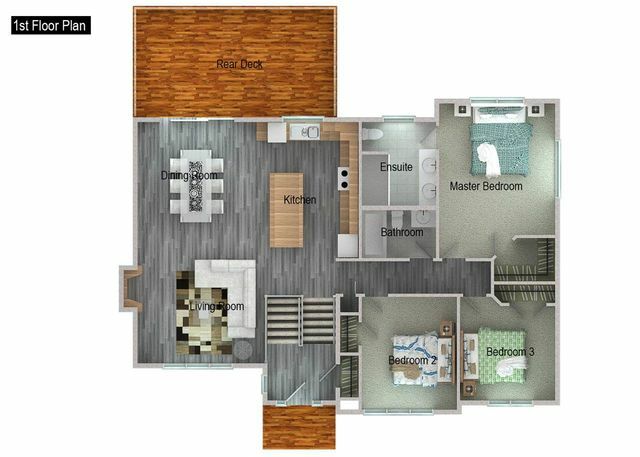 The main level consists of a large, welcoming entry way with a beautiful hardwood staircase, an open concept with the living room, eat in breakfast nook, and large kitchen. The kitchen includes engineered quartz counter tops as well as master ensuite, large island, white shaker style cabinets to the ceiling with soft cabinet closures, and a deluxe trim package. 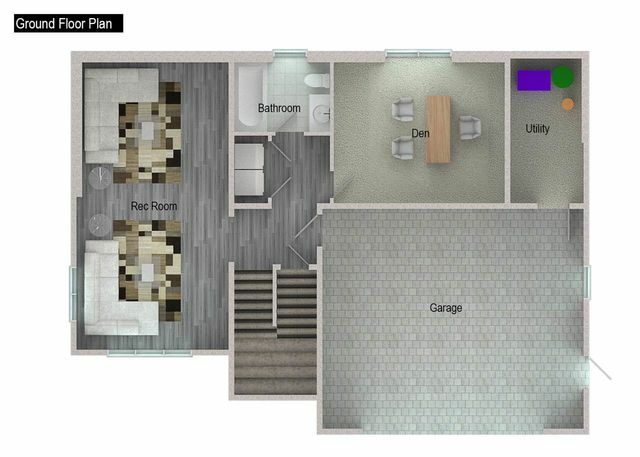 The main level is finished off with two bedrooms, a full bath, the master bedroom with a large walk in closet, and an exquisite ensuite with a custom tiled shower with a tiled base, and his and her vanity. The home includes a fully finished lower level with a walkout basement to the landscaped yard, an over-sized rec room, den area, laundry and full bathroom. Indigo Shores is a wonderful semi rural family first subdivision with very close proximity to the amenities of Lower Sackville and Bedford.